November 4, 2016 /40 Comments/in General /by Andrew Joyce, Ph.D. While discussion has hitherto been focussed on these technicalities, considerably less attention has been paid to the firm’s history, character, and demographic. Mischon de Reya was founded by Victor Mischon, the son of a rabbi in 1937, and its senior partners still appear, in the main, to be drawn from London and New York Jews. There is considerable crossover between influential positions at Mischon de Reya and those at the Board of Deputies of British Jews and similar organizations. Victor Mischon was at one time a President of the B.o.D., and more recently these links remain in the form of Anthony Julius who has worked for both de Reya and the B.o.D., and also in the form of James Libson who heads Mishcon de Reya’s Private department, and has carried out a great deal of pro bono work for Jewish causes. 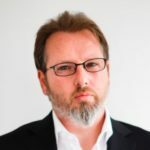 The Daily Mail reports that the firm, which has been accused of “treason,” has refused to “name any clients linked to its Brexit action — and would not confirm if it had worked for free.” However, it is reported that one of the most influential figures among this group of ‘hundreds’ of “anonymous academics and businessmen” is Jewish property speculator Alex Chesterman. One thus begins to notice a pattern emerging. Chesterman is reported to have lobbied ‘fellow businessmen’ and ‘academics’ back in June, and at that time employed Mischon de Reya to carry out the desired legal work for mounting a challenge against Brexit. 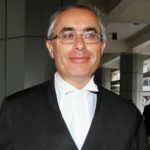 Chesterman’s lawyer of choice was at de Reya was David Pannick QC. 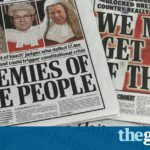 The Jewish News reported back in June that Pannick, who is also Jewish, soon complained to the Royal Courts of Justice that his staff had been subjected to “anti-Semitic abuse” for their actions against Brexit, illustrating quite clearly the demographic of the team working on this treason. We join yet another dot when we discover that Pannick’s panic was heard at the Royal Courts of Justice by the equally Jewish Sir Brian Leveson. 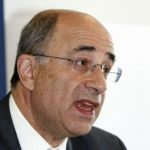 Pannick asked Leveson whether the names of claimants should be redacted, given the abuse, saying: “People have been deterred from [making legal claims].” By ‘people,’ Pannick must surely have been inferring that Jews have been hindered from ‘making legal claims.’ Predictably, Leveson acceded to Pannick’s request, with the result that anti-Brexit backstabbers are now operating behind a legally imposed veil to undermine the democratically expressed will of the British people. The legal bid appears to have been initiated by Alex Chesterman, a Jewish businessman. The bid was delegated to the law firm Mischon de Reya, founded by a Jewish lawyer, and that has retained a strong synthesis between its work and that of Jewish interests. 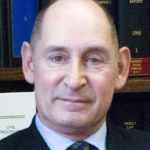 The legal bid has been led by a Jewish lawyer, David Pannick, QC. In an effort to obscure the staffing and clientele behind the bid, David Pannick approached the Royal Courts of Justice to obtain masking measures for the bid. This measure was granted by Lord Justice Sir Brian Leveson, also Jewish. Finally, the legal bid was accepted by three judges at the High Court, two of whom, Terence Etherton and Philip Sales, are Jewish. 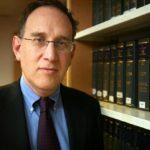 Jews are thought to comprise around 0.5% of the British population, and in light of this statistic the demonstrable prominence of Jews in the legal challenge against Brexit must be seen as nothing less than remarkable.